Floretta Mae Schwartz, was received by her Heavenly Father into eternal life on Thursday, January 24, 2019. She was born May 6, 1930, in Merrill, WI to Emil and Hilda (Goetsch) Woller. On September 4, 1948, Floretta married the love of her life William Schwartz. 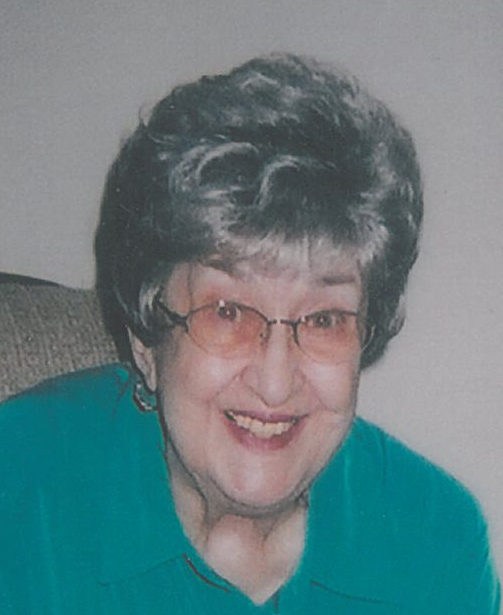 Floretta loved sewing, knitting, crocheting and painting. She also enjoyed collecting baby dolls and playing the organ (which was self-taught). What she loved more than anything else was spending time with her family. Floretta affectionately known as “Tootie” was a foster mother to nine babies. She was also a very caring and loving mother to her children, and affectionate Grandma to her grandchildren and great-grandchildren. Floretta is survived by her children, Linda Smits, James (Susan) Schwartz; sister-in-law, Adaline Schwartz; grandchildren, Sarah Smits, Rachel (Josh) Schwartz Toebe, and Clint (Stephanie) Schwartz; great-grandchildren, Justin and Braxton Toebe, and Ty and Adalynn Schwartz. In addition to her parents, Floretta is preceded in death by her loving husband, William; son, William Jr.; sisters, Doris Karlen, Juanita Schepp and Jean Rusch; and son-in-law Patrick Smits. Visitation will be held on Tuesday, January 29, 2019, at Pilgrim Lutheran Church, 1731 St. Agnes Dr., from 9:00 a.m. until the time of the funeral service at 11:00 a.m. with Pastor Scott Malme officiating. Interment will be on Thursday, January 31, 2019, at 2:30 p.m. at Fort Howard Memorial Park. Expressions of sympathy, memories and photos may be expressed with Floretta’s family on her tribute page at www.lyndahl.com. The family would like to extend a heartfelt thank you to the staff at Cardinal Ridge Residential Care for the comfort, care, and compassion given to Floretta.